Kiki was born on February 19, 2009. 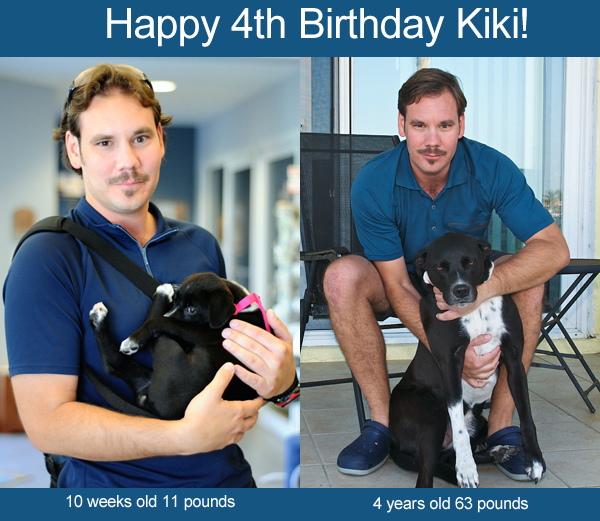 It is hard to believe that it is already 2013 and Kiki is now 4-years old! On the day she was adopted, as you can see, she almost fit in just one of my hands. Now she is full grown and hard for me to pick up even with two arms! No matter how old she gets, I am sure I will think of her as my beloved puppy and call her a puppy, as I still do to this day. I never feel prouder about anything I have ever done in my life than when someone complements how well behaved, how friendly or how sweet Kiki is. As she has gotten older, though, Kiki has become totally camera shy!